Here's a discrete variation of yesterday's puzzle Peaceful Encampments. 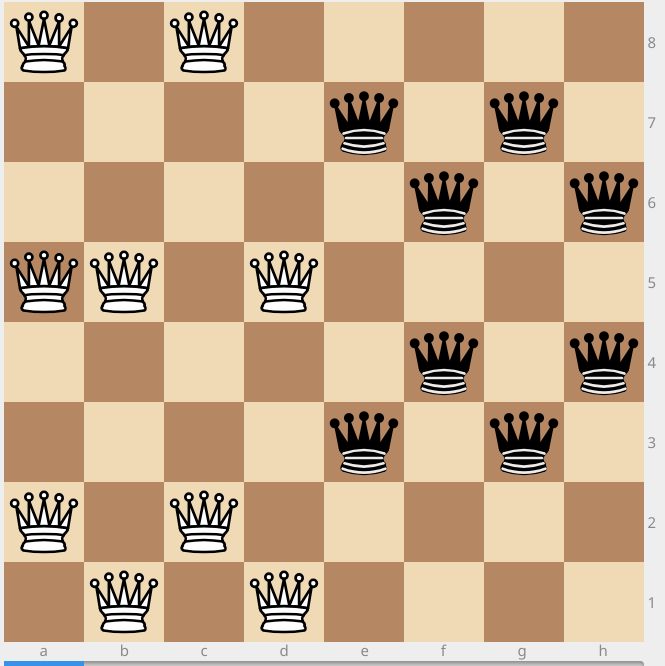 You have 8 white queens and 8 black queens. 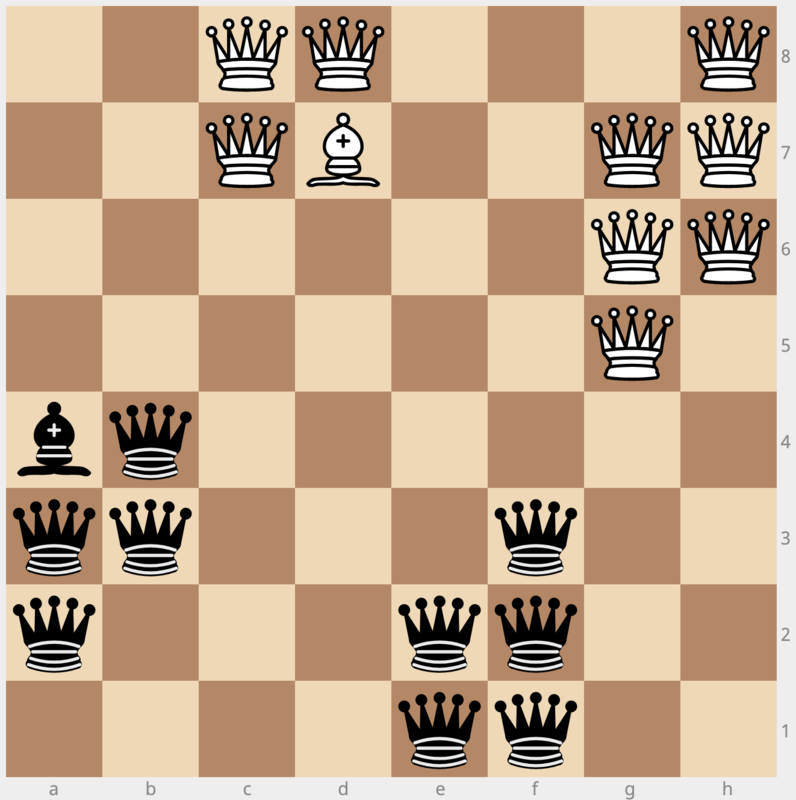 Place all these pieces onto a normal 8x8 chessboard in such a way that no white queen threatens a black queen (nor vice versa). A queen can be either black or white, and there can be unequal numbers of each type [but if so, we count the smaller population]. A queen must not be threatened by other queens of a different color. 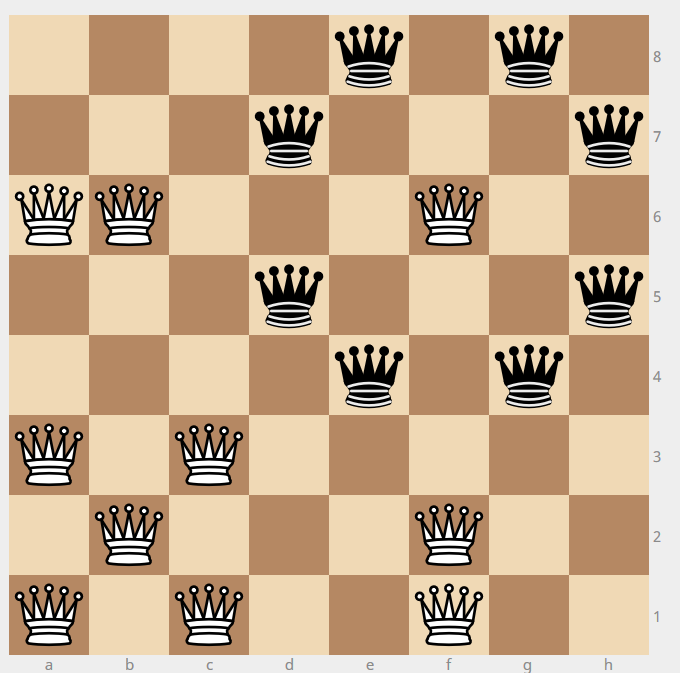 Queens threaten all squares in the same row, column, or diagonal (as in chess). Also, threats are blocked by other queens [not that this matters]. 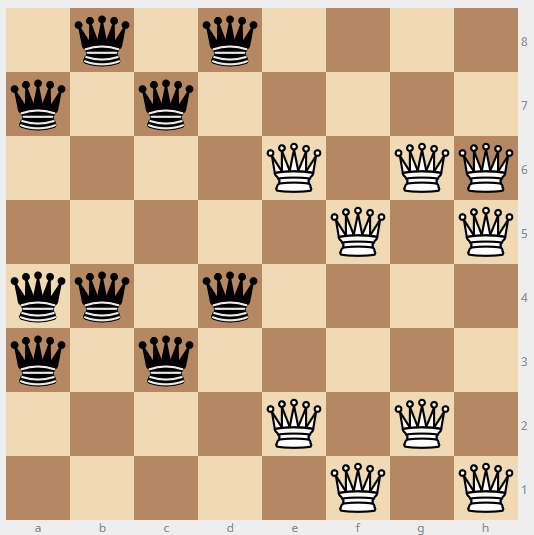 Can you find a way to place more than 8 queens of each color "peacefully" on an 8x8 chessboard? 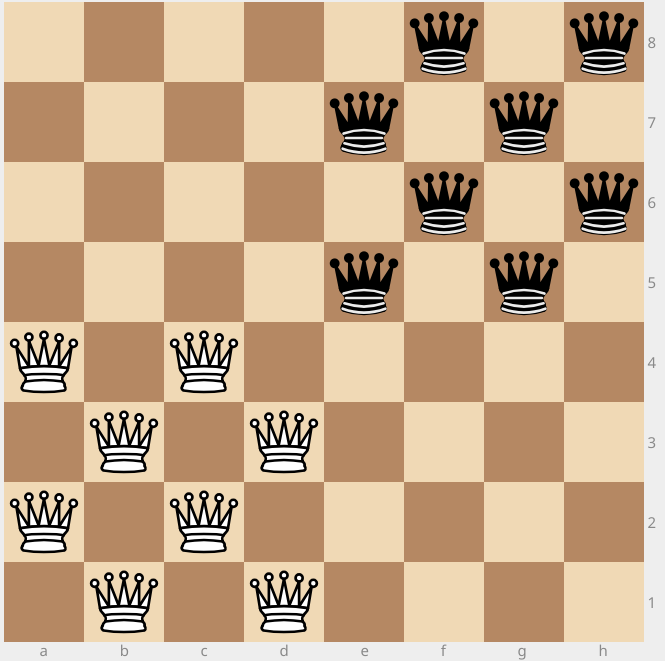 You can replace either bishop with a tenth queen, but then the other bishop's square must remain empty. Nine queens of each color. Some variation is possible. 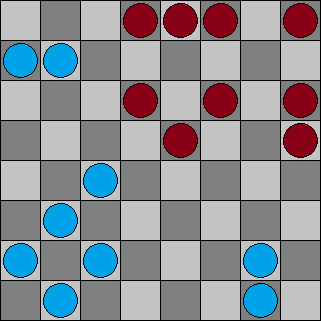 I'll keep looking for a way to do 9 for each side, but it may not be possible. Not the answer you're looking for? 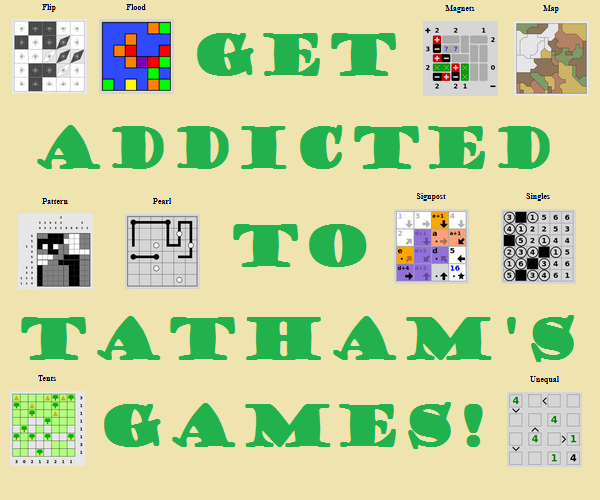 Browse other questions tagged geometry chess checkerboard or ask your own question.